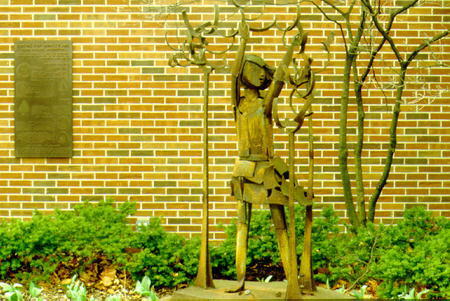 Life-size figure of a girl stands under a group of trees. She is made of welded scraps metal with rust and flaking paint. : “Ruth,” Ohio Outdoor Sculpture Inventory, accessed April 18, 2019, http://oosi.sculpturecenter.org/items/show/414.